If you’re short on garage space, a garden shed is a fantastic solution for storing your outdoor gardening and yard supplies. They can even be used commercially too, and are great for decluttering cramped warehouses or packed offices. Depending on your organizational needs, a backyard shed can be a simple four-walled structure or larger for more storage. Sometimes it can be easy to throw things into a shed and forget about what’s in there, or you realize your organizational skills need some help. Upgrade your old garden shed with these 5 easy tips to utilize your space better and update your organization. Just like every other part of your home, your shed needs spring cleaning, too. Start with clearing out the clutter and sweeping the floor, removing cobwebs, and dusting shelves and tables. If your shed has windows, clean them inside and out, looking for any crevices that might need resealing. Before you put all of your stuff back into the shed, try and organize it into three piles: keep, donate, and toss. Broken dried out soil, and worn storage or organization pieces should be removed and replaced as needed. Tip: Before you put everything away and seal up your shed for winter, do some maintenance cleaning in the fall months to make it easier to open up again in the springtime. Even if your shed has windows, and you’ve just cleaned them, sheds can be dark and make it hard to find what you’re looking for without some illumination. Install solar powered lights into your shed to have bright lighting all year long without needing to hook up to a grid or worry about dangerous electrical installation. Indoor solar lights with LEDs provide clear illumination, plus you can install it to provide light where you need it the most. Whether it's near your tools or over a workbench, having reliable lighting in your shed makes it easier to keep clean and find what you’re looking for faster. As mentioned earlier, updating your supplies on a yearly or bi-annual basis is important for having high-quality materials on hand. If you are an avid gardener, survey your inventory and determine whether you’re out of or you have a few too many broken tools that should be replaced. While this might be a no-brainer, sheds can often be a catch-all for broken supplies and forgotten toys. Keeping it clutter-free means checking what you have and don’t have, and whether anything needs to be restored, upgraded, or replaced. Install a workbench or table if you’re thinking about using your shed as a tinkering space separate from your house or garage. Mount bicycles on the wall during the wintertime to take advantage of all of your square footage, not just your floor space. Install heavy duty shelving to organize sports equipment, planters, nails and screws, paintbrushes, and other objects. If you’re handy with tools, install a magnetic knife holder or tool organization stick to hold lightweight metal objects above a workbench. Pegboards are also great organizational tools to quickly see everything at once instead of throwing it all into a few drawers. If you feel like your shed isn’t being used to its full capacity, consider using it for storage year-round. Sheds are great for storing firewood during the winter, hunting supplies in the fall, and lawnmowers during spring and summer. It all depends on your needs and how you want to utilize your conveniently available outdoor space. d.light develops solar powered lanterns and other solar products for cleaner camping experiences and supplying power to those off-grid who lack access to reliable energy. This for-profit, social impact enterprise’s solutions have helped more than 75 million people in over 60 countries worldwide. From relaxing at your favorite spot at a campground to roughing it backpacking in the mountains, having a fun camping trip is everyone’s goal. Nomatter your camping style, you should have a clean campsite, packed emergency supplies, and a way to capture the memories you’re making. Solar power makes all of these happen with clear lighting and clean energy. Solar powered lights, power systems, and other solutions are sustainable tools for any camping trip. Here are a few reasons you should choose solar power camping accessories for your next outdoor adventure. Roughing it doesn’t necessarily mean going tech-free anymore. High-performance, hand-held GPS systems are great for staying on the path and getting to your destination without getting lost. If you take one on a multi-day trek, keeping it charged long enough to get to your destination could be stressful without a solar charger that lasts for over 100 hours. Having a working cell phone in areas where cell phone coverage is available is important for safety reasons. Since most cell phones won’t last longer than 24-hours on a single charge, use a solar charger to ensure your device can keep up with taking tons of photos, playing games with family, or calls in case of an emergency. Make sure that it’s super durable and shockproof for those accidental drops or trips. Instead of relying on traditional flashlights, choose solar powered lanterns for clean and clear LED lighting that illuminates a whole campsite. Solar lanterns today have flexible designs that make them easy to transport with super tough builds. Some even have integrated solar panels that charge on the cloudiest days, perfect for camping rain or shine. Solar lighting provides a clean solution to burning wood or kerosene. The most sustainable and maintenance-free lighting option, lanterns brightly illuminate tents, cars, and campsites with long-lasting light. If you own a free-standing structure off-the-grid that’s your personal retreat, tool shop, hunting shed, or greenhouse, trying to set up a lighting system that relies on gasoline or diesel can be a hassle. Indoor solar lights provide long-lasting illumination with rechargeable, high-efficiency batteries. This cost-saving measure lasts for years without worrying about maintenance or dangerous energy sources, making it safe for you and the environment. Check to make sure the solar panel is designed to charge in cloudy weather or partially shaded areas. Quality solar products meet Lighting Global standards and are protected by warranties. Look for versatile systems that also charge mobile devices with USB outputs. d.light develops solar-powered lanterns and other solar products for cleaner camping experiences and supplying power to those off-grid who lack access to reliable energy. This for-profit, social impact enterprise’s solutions have helped more than 75 million people in over 60 countries worldwide. Why Choose Solar Power for Safer Camping Trips? Whether you’re a backpacking fanatic or “once a year” kind of camper, you know that keeping safety gear on hand is necessary for a good trip. Cell phones dying, cars not starting, and campfires in dry weather are all mishaps and hazards that campers often need to be aware of every summer. Solar power provides essential power that is otherwise unreachable on an off-grid trip. Even if you’re preparing for a natural disaster or a fun overnight camping trip, solar power can be the necessity that keeps you safe and ready for anything. Camping in dry conditions can be hazardous for a variety of reasons, but mostly because of campfires. While campfires indulge the traditional “camping experience,” they are often dangerous in dry and hot weather. If you have small children, it can also be worrisome to watch them and keep the fire going at the same time. Solar powered lanterns remove the environmental risk and the safety threat that campfires have. While they don’t provide a source of heat, you likely would not need that in a dry and warm camp setting. Simply let them charge during the day while you’re relaxing or exploring, then experience clean and high-efficiency light during the nighttime. Look for solar powered lights that are toughly built to survive the trip and are weather-resistant to withstand anything Mother Nature throws at you. LED lights have better light quality than kerosene lamps or campfires, and are better for the environment, too. Get better light than a single flashlight by using a solar powered lantern instead. 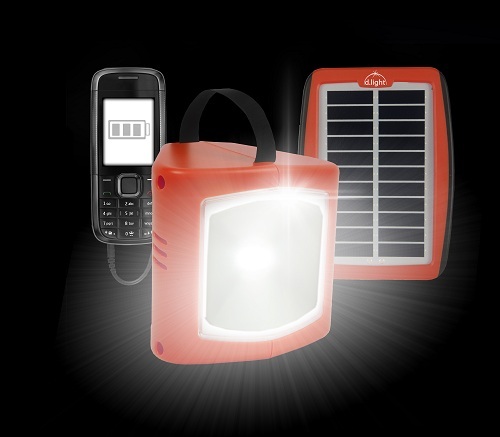 Some solar powered lanterns can even charge mobile devices while lighting large spaces. Choose a durable panel with USB-ports that can fully charge your phone in case of emergencies. The last thing you want is to need help for an emergency but have no way of calling or communicating. Have something bigger in mind for an off-grid cabin or free-standing structure? Solar powered lights are easy to setup and require little installation effort. Instead of hooking up to a power grid, install your own onsite. Light up your cabin using indoor solar lights that charge consistently, even through cloudy weather, during the day. You'll never need to worry about using outdated wiring or finicky kerosene lamps again. Be prepared before going on your next camping trip and bring along solar powered lights for a safer experience. For the best solar powered lights on the market, d.light designs camping-approved lanterns and lighting systems that goes wherever you do. Made tough and ultra-portable, their solar lanterns are perfect for camping, hiking, or anytime you want to unplug and go off the grid. Light your next adventure using solar power. The environment will thank you, too. d.light develops solar-powered lanterns and other solar products for cleaner camping experiences and those off-grid who lack access to reliable energy. This for-profit, social impact enterprise’s solutions have helped more than 75 million people in over 60 countries worldwide. From power outages to natural disasters, there is always a reason to be prepared for basic emergencies. Having a small power source and light source can be instrumental to survival in many instances, from food preparation to repairs, medical treatment to phone usage. A flashlight is one of the first requirements of common emergency kits, but its reliance on traditional batteries can result in an inconveniently dead flashlight. Using solar powered lights can reduce this risk and ensure that other devices are charged too. For emergencies or times when access to reliable power is not possible, here are the benefits of using solar power. Solar powered lanterns are convenient for emergencies because of their battery life and increased brightness. Solar lights can last anywhere from four to sixteen hours of light per full charge, and are easily rechargeable during the day. They are also up to ten times brighter than kerosene lamps, which are the most popular lighting source in third-world countries and off-the-grid communities. Solar powered lanterns are powerful enough to light up larger areas than flashlights and make it easy to do basic tasks that would be difficult or impossible otherwise. Having a lightweight and compact light source is incredibly important during times of emergency or natural disaster. Solar lights can be sturdy and able to withstand high-impact movement and weather. Easily charged with a small solar panel, LED solar lights save money and resources that are typically rare or inaccessible off-the-grid. During emergencies, being able to text or call emergency services can be a critical necessity. 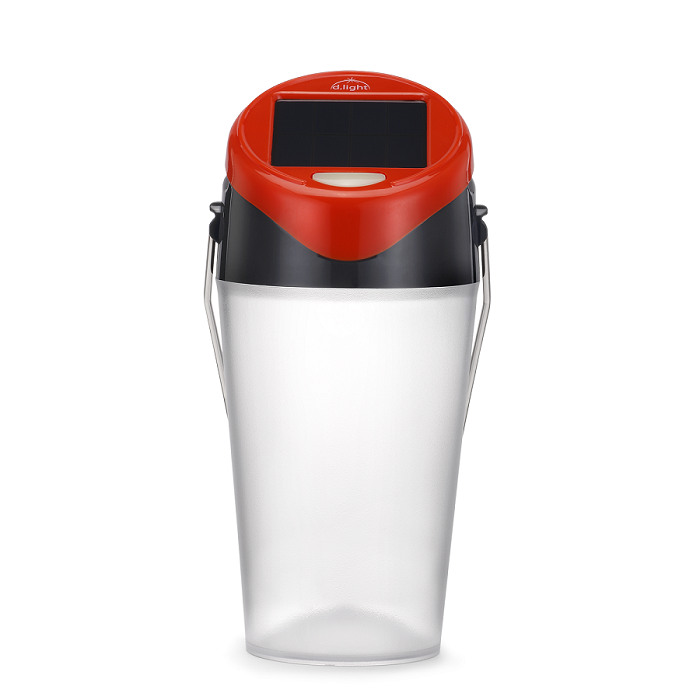 Solar lanterns that have a charging component – like USB ports – can charge mobile devices and other electronics are extremely useful in emergency and natural disaster situations. By charging the power component and solar lantern simultaneously throughout the day, it is both time and energy efficient. By using solar powered lights and charging panels, it is more energy-efficient to use solar power than using batteries. It is also economically friendly because of reduced waste and long-lasting product life. Solar powered energy can be fundamental during emergencies, natural disasters, and power outages. 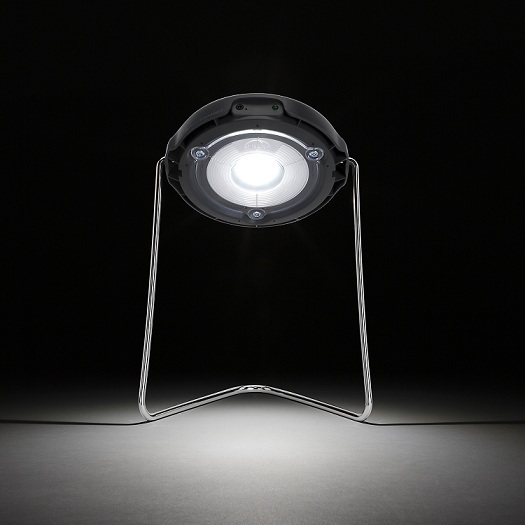 d.light designs solar products like the S300 for quick USB port charging and hours of LED lighting. This sturdy and weather-resistant model is built for any circumstance from off-the-grid living to natural disasters. Replace the flashlight in the emergency kit with a solar-powered lantern that ensures long-lasting power and light. d.light develops solar powered lanterns and other solar products for off-grid people who lack access to reliable energy. This for-profit, social impact enterprise’s solutions have helped more than 75 million people in over 60 countries worldwide. Over a billion people worldwide have little to no access to electricity in their community. About 620 million of those billion are located in Africa. Over the last 30 years, billions of dollars have been spent by domestic and international governments to create a power grid in Africa to connect all communities. However, the intention behind the original concept has not panned out as originally conceived. The idea that power grids must exist to provide industrialization and development has proven to be unsustainable. 21 billion dollars are spent every year to maintain a sub-Saharan system that still does not supply sufficient resources for a steady path of development. To achieve true development, industrialization is key, but the ultimate goal is giving power to homes. Most African homes rely upon kerosene lamps for light in dark hours. Kerosene is extremely dangerous and does not provide near the same light quality as LEDs or incandescent bulbs. The World Bank has stated that breathing kerosene fumes is equivalent to smoking two packs of cigarettes a day. Subsequently, almost two-thirds of females who develop lung cancer in developing countries are non-smokers. Kerosene fires are a common occurrence, hard to prevent and still happen despite extreme caution. Not only used for lighting houses at night, lamps are also used for reading, studying, and household activities. The solar power industry has created many inexpensive alternatives to kerosene lamps, like solar lanterns, that are safer, cost-effective, and long-term. Often compared to the mobile cell phone revolution that occurred in developing countries, the solar power industry has become exponentially cheaper in the past decade. Projected to reach a similar peak in ten to fifteen years, solar power solutions are cheaper than they have ever been and easier to install and use than in the past ten or even five years. The economic argument for solar powered lanterns in comparison to kerosene-burning lamps is clear. Buying a lamp that charges during the day from solar emissions and then is used at night easily eliminates spending on kerosene. Almost 10 billion dollars is spent on kerosene in sub-Saharan Africa every year. Because of the African continent’s geographic location, it garners the most sun exposure and solar power than any other continent. By democratizing literal power and giving families and individuals to decide how they want to use electricity and how much, they no longer have to rely on a power grid that may or may not be built and maintained in their community. For the last decade, d.light has created indoor solar lights and solar lanterns that are used by more than 75 million people in over 60 countries, from rural communities to developing countries. Their solar solutions provide reliable and safe energy while staying affordable and sustainable long-term. 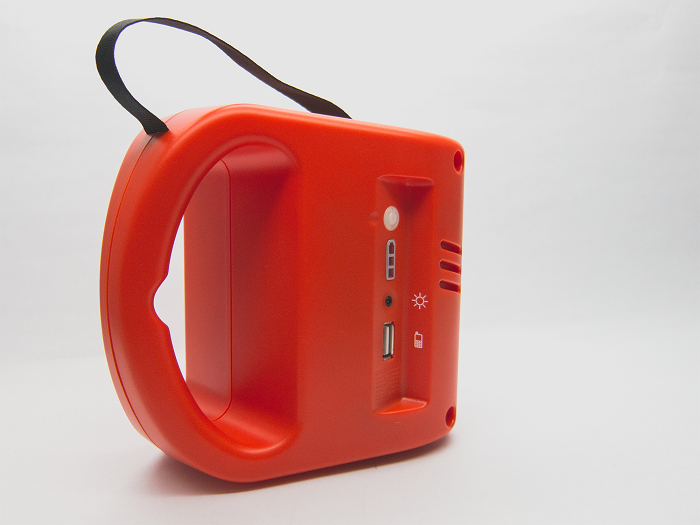 d.light develops solar power lanterns and other solar products for off-grid people who lack access to reliable energy. This for-profit, social impact enterprise’s solutions have helped more than 75 million people in over 60 countries worldwide. d.light offers high-quality, affordable solar powered lights, which help off-grid communities become healthier, happier and more productive. Our products have helped over 80 million people in more than 60 countries. d.light offers top-of-the-line solar powered lanterns, which people in off-grid communities can use to light their houses and businesses. Our innovative products have helped people worldwide protect their health, increase their productivity and earn more revenue. Solar powered lights might seem like a quaint novelty to people in the First World. To people in developing countries, however, having a solar lantern can change their lives for the better. There is a certain poetic appropriateness in the terms “First World” and “Third World.” The people who live in countries that fall into these categories almost seem to live in completely separate worlds. In the first world, quite a few people have well over the minimum necessities and comforts. In the third world, fartoo many do not. In fact, people living off-grid in Africa, Asia and elsewhere may not even have reliable access to basic amenities like electricity and indoor lights. As members of the global community, it should be everyone’s responsibility to help their fellow men and women. It should not matter whether they live in Africa, the Middle East, Latin America, Asia, Europe or anywhere else—people deserve access to things that can make them healthy and productive. Solar lanterns and solar powered lights can profoundly change the lives of people in the developing world. Products such as these provide families with clean, affordable, reliable power. They can then use that power to study and work for longer. In turn, children and adults can further their educations, earn more money and do more in general to lead fuller and happier lives. In many rural areas, numerous small businesses close around 6pm or 7pm (i.e. just after twilight). The reason for this is very simple: They do not have available lights to see. If people cannot see what they are doing and who they are dealing with, running a business is all but impossible. Indoor solar lights have enabled businesses to serve customers for longer. Stores and kiosks have been able to stay for an additional two or three hours. By enabling off-grid users to work and run their businesses for longer, solar powered lights can earn more profits. Small business owners have been able to increase their productivity and daily revenues by 25% or more. Many times, off-grid businesses and households that want to do things at night rely on kerosene lamps, which emit harmful fumes. By using solar lanterns, people no longer need to worry about these fumes or the risk of something catching fire. Indoor solar lights also benefit the planet as a whole. Solar lanterns have helped reduce worldwide emissions of carbon dioxide by millions of tons. d.light specializes in providing solar powered lanterns and other solar energy solutions to people in off-grid communities. The company uses a data-driven approach to create products that improve the well-being and productivity of their users. 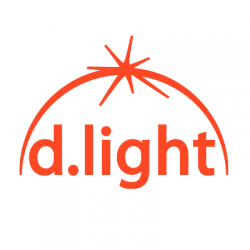 d.light is a for-profit, global social impact enterprise focused on providing solar powered lights and other products to people who lack access to reliable energy. The company’s solutions have helped more than 75 million people in over 60 countries.